How It Works | Blow Bar Inc.
Our salon focuses solely on blowouts, complete with a menu of different styles, up-do’s, and braids to choose from. We aim for convenience and fun. We leave the hair cutting and coloring up to the traditional salon and focus on one thing and are the best at it: the blowout. 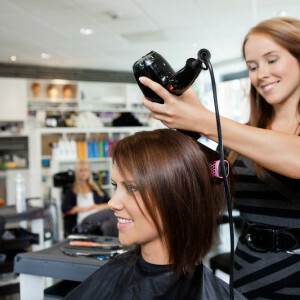 Depending on the length and texture of your hair, a blowout is typically 30-45 minutes. A blowout starts with a hair wash and scalp massage, followed by an expert blow dry method. High-powered hair dryers, round brushes, and other styling tools are used to achieve a finished look that may seem impossible to do on your own. Our blowouts leave hair shiny, bouncy, and with a style that will last for days. The best part? You walk out feeling confident and ready to take on the world.